MANILA, Philippines - French President Francois Hollande on Friday headed to Guiuan town in Eastern Samar, one the areas devastated by Typhoon "Yolanda" in 2013. 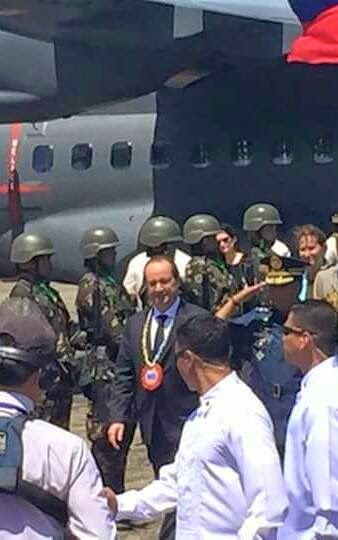 Hollande arrived at Guiuan before noon and is scheduled to meet with a group of local fishermen and visit the town church, market and the Guiuan school to check the area's recovery. 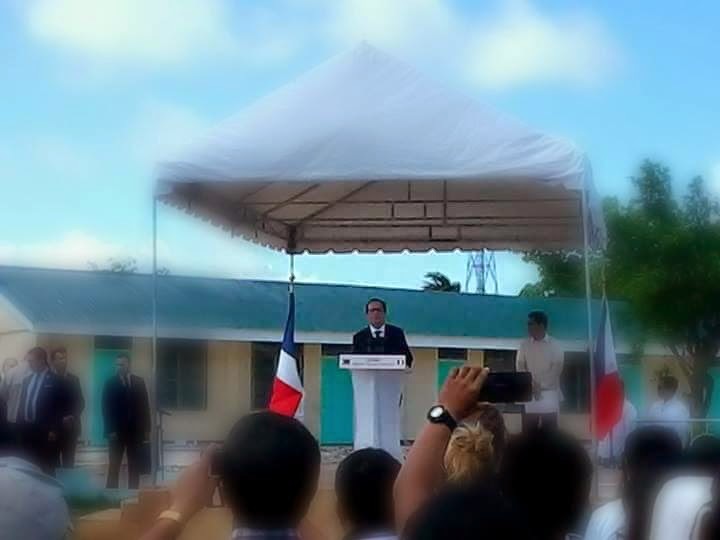 "I shall be in Guiuan and the purpose of this mission is to announce assistance for the rehabilitation of this poor city," Hollande said in a joint press conference with President Aquino on Thursday night following their expanded bilateral talks. Guiuan was among the communities flattened by Yolanda, the most powerful cyclone ever recorded on land that killed or left missing over 7,000 people. Hollande sees his visit to give a human face to climate change as the Philippines bears the brunt of dozens of deadly storms such as Typhoon Yolanda. "We need the Philippines. We need countries which not only were the victims of disasters, but also countries that were able to invent policies, and to express a number of recommendations that will be examples for the Paris conference," Hollande said. The collaboration between the Philippine and French governments intends to improve the understanding, planning and management of the consequences of climate change on the environment and marine resources.The presidents also witnessed the signing of a Declaration of Intent concerning the protection of the environment and the sustainable development of the marine resources of the Philippines. The cooperation is also expected to lead to the improvement in the living conditions of Filipino communities who are dependent on the marine resources.